Drywater Gulch had a problem, a thieving, cow-kissing, chili-insulting problem. “Then hope rode into town. Slowly. 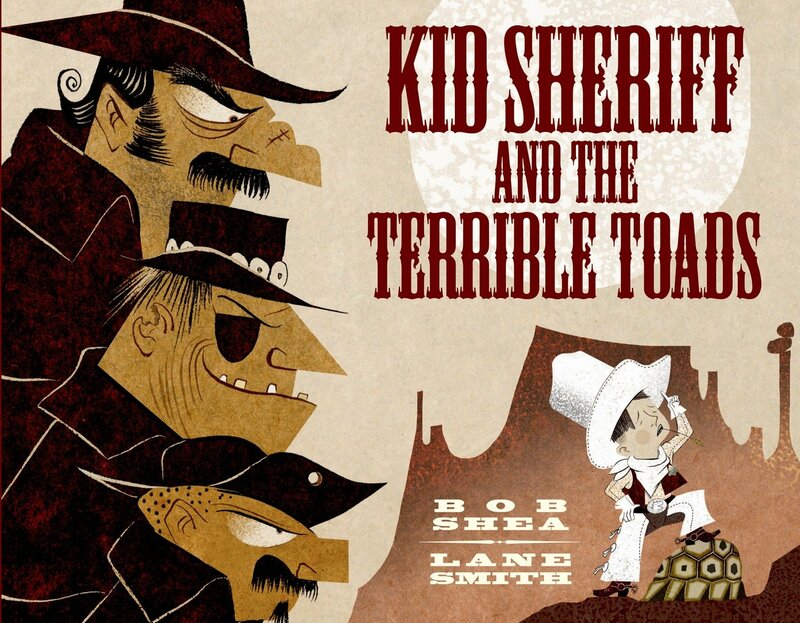 On a tortoise.” There’s a new sheriff in town. He can’t shoot, rope, or even stay up late, but he knows A LOT about dinosaurs. Toads beware! I think the only real downside to this is that a child reading this alone might struggle with some of the vocabulary and the dialect. The Accelerated Reader level of this book is listed as 3.1 (a third grade reading level) according to http://www.arbookfind.com. As a read-loud, however, I think younger kids would really get a kick out of the humor! As for illustrations, Lane Smith never fails to disappoint!